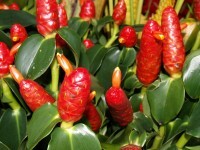 Shampoo Ginger, often called Pinecone Ginger, is used to make various nature shampoos. Its common name in Hawaii is "Awapuhi." 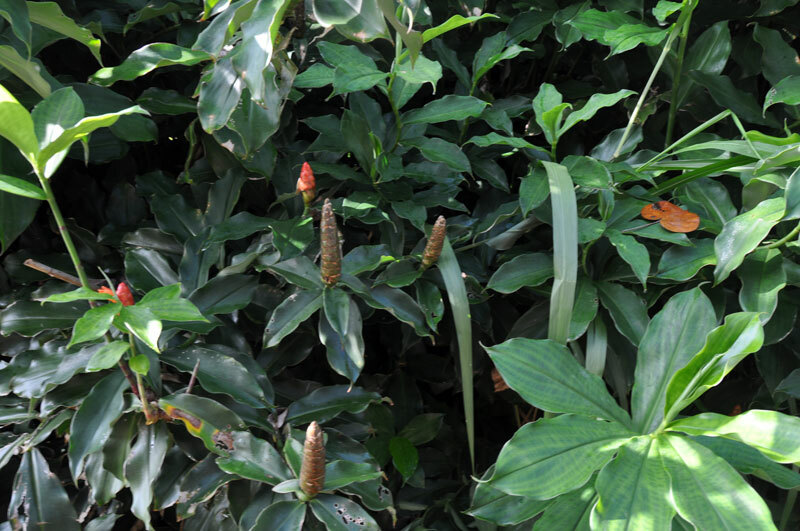 It produces a large green cone bract in mid summer, after blooming its bract begins turning scarlet red working its way up the cone and last for weeks. The bract resembles a pine cone which releases a thick sudsy juice when squeezed with a very gingerly scent (shampoo), and can also be used as an unusual cut flower for arrangements. Blooms from July through November. Propagated by division, stem cuttings and seeds.